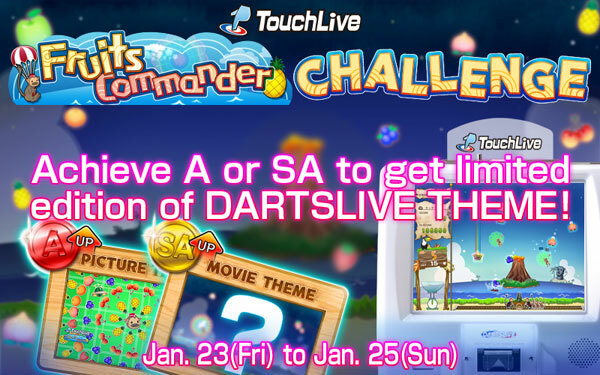 During the campaign period‚ the limited DARTSLIVE THEME will be awarded to all players who achieved SA flight or A flight of “Fruits Commander”! Get SA flight and receive the limited THEME to show your strength!? *The THEME can’t be obtained when system maintenance is being performed.